Definition at line 3287 of file commctrl.h. Definition at line 3296 of file commctrl.h. Referenced by AddEntryToTree(), InitTreeViewItems(), InsertTreeViewItem(), RefreshTreeItem(), SelectNode(), and TREEVIEW_TVItemFromItem(). Definition at line 3293 of file commctrl.h. Referenced by AddEntryToTree(), InitTreeViewItems(), InsertTreeViewItem(), RefreshTreeItem(), SelectNode(), test_wm_notify(), TREEVIEW_EndEditLabelNow(), and TREEVIEW_TVItemFromItem(). Definition at line 3289 of file commctrl.h. Referenced by BrsFolder_Treeview_Expand(), CommonWndProc(), BtrfsDeviceAdd::DeviceAddDlgProc(), CTreeView::GetItemData(), hierarchy_dlg_proc(), msi_dialog_seltree_handler(), msi_seltree_feature_from_item(), msi_seltree_sync_item_state(), CDeviceView::RecurseFindDevice(), RefreshTreeItem(), SelectNode(), TREEVIEW_EndEditLabelNow(), TreeView_GetItemParam(), TREEVIEW_SendTreeviewDnDNotify(), and TREEVIEW_TVItemFromItem(). Definition at line 3294 of file commctrl.h. Referenced by AddEntryToTree(), GetNormalAndSelectedIcons(), InitTreeViewItems(), and TREEVIEW_TVItemFromItem(). Definition at line 3295 of file commctrl.h. Definition at line 3297 of file commctrl.h. Referenced by AddEntryToTree(), BrsFolder_Treeview_Changed(), BrsFolder_Treeview_Delete(), BrsFolder_Treeview_Expand(), BrsFolder_Treeview_Rename(), CTreeView::GetItemData(), hierarchy_dlg_proc(), InitTreeViewItems(), InsertTreeViewItem(), CDeviceView::RecurseFindDevice(), TREEVIEW_EndEditLabelNow(), TreeView_GetItemParam(), TREEVIEW_SendTreeviewDnDNotify(), and TREEVIEW_TVItemFromItem(). Definition at line 3288 of file commctrl.h. Referenced by AddEntryToTree(), BtrfsDeviceAdd::DeviceAddDlgProc(), CTreeView::GetItemData(), InitTreeViewItems(), InsertTreeViewItem(), msi_dialog_seltree_handler(), msi_seltree_feature_from_item(), msi_seltree_sync_item_state(), CDeviceView::RecurseFindDevice(), RefreshTreeItem(), SelectNode(), test_wm_notify(), TREEVIEW_EndEditLabelNow(), TreeView_GetItemParam(), TREEVIEW_SendTreeviewDnDNotify(), and TREEVIEW_TVItemFromItem(). Definition at line 3292 of file commctrl.h. Referenced by AddEntryToTree(), BrsFolder_Treeview_Rename(), CommonWndProc(), InitTreeViewItems(), InsertTreeViewItem(), msi_dialog_seltree_handler(), RefreshTreeItem(), SelectNode(), test_wm_notify(), TREEVIEW_BeginLabelEditNotify(), TREEVIEW_EndEditLabelNow(), TREEVIEW_SendTreeviewNotify(), and TREEVIEW_TVItemFromItem(). Definition at line 3290 of file commctrl.h. Referenced by BrsFolder_Treeview_Expand(), msi_seltree_sync_item_state(), TREEVIEW_EndEditLabelNow(), TREEVIEW_SendTreeviewDnDNotify(), and TREEVIEW_TVItemFromItem(). Definition at line 3291 of file commctrl.h. 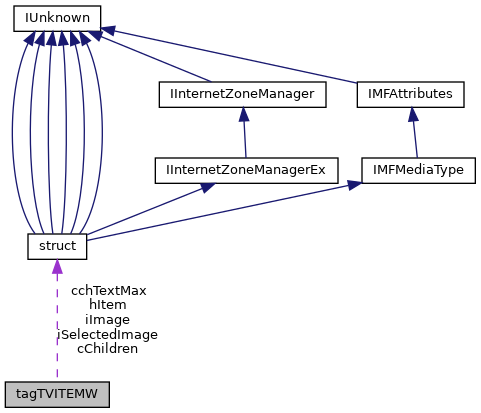 Referenced by msi_seltree_sync_item_state(), and TREEVIEW_TVItemFromItem().